In our early study of renting vs buying a home I found it difficult to understand why so many people rent so I did more research and here is what I found. It may have been easy to rent a house in the past, though it has not been easy in the past few years, today fewer people are moving out and more people moving into rental properties. All this accounts for the skyrocketing prices and fewer vacancies. The situation may not improve and rather worsen as the rental population will increase but not the properties. There are various factors that have come into play. According to a recent research by a real estate research and investment organization, over the next decade, 4 million people will be renting in the U.S. and there is a rental crunch with vacancies around 7 percent only. About 50 percent people spend more than 30 percent of their income on housing while 25 percent spends 50 percent and more of their income on housing. These numbers will change only for the worse over the next decade. Home values will rise slowly, however, faster than the income, thus affecting affordable housing. The income has been almost stagnant, even though there has been a rise in the job opportunities. This is the reason renting is becoming even more difficult for many families. Inflation is at about 2 percent annually, the number of people burdened by rising rents would increase almost by 11 percent to 13 million in 2025. Even though there is a rise in home ownership, however, it is not a very significant rise to counter the effect of lesser vacancies in the rental properties. There is a persisting shortage of affordable housing in the existing structures as well as those being constructed. There has been an increase in the number of Millennial (18-35 years) who want home ownership. In 2011, only 65 percent of Millennial wanted to own a home, while this has increased to 78 percent in 2014, to 80 percent in 2015. Most of them are still struggling with student loans, stagnant job wages, rising rents and home prices. According to study on home ownership in 2016, 50 percent of Millennial and about 18 percent Baby boomers (55+) have saved for a down payment while waiting for a promotion or a raise while 12 percent of Baby boomers are expecting the same. More than 35 percent of Millennial and about 10 percent of Baby boomers have improved their credit history, said Katrina Barone of houses for sale in Ocala fl. More than 5 percent of Millennial and Baby boomers state increase in rents as a factor in buying a home than renting it. About 15 percent of Baby boomers and 25 percent Millennial find home ownership makes financial sense. The median age of first-time homeowners will be older, where the oldest Millennial is 35 years who want to buy homes, however, find it difficult, especially when they are paying high rent prices in those parts of the country where they have lucrative jobs. According to a study, a majority of the Americans think, 2016 is a good year to sell and buy a home and the majority of them find it is a difficult time to rent. FHA loans have seen a reduction in mortgage insurance premiums by an average of $900 a year; this has led to a rise in FHA borrowers. For many Americans home ownership is a dream, of which 80 percent of Millennial sees the same dream. Higher rents, almost stagnant income, and decreasing employment opportunities during the recession phase as well as its consequences will continue to affect mainly the Millennial over the next decade. Usually, when the rent increases, buying becomes an attractive option with a flip side that saving for a down payment will become even more difficult. Mortgage access will remain low, especially for entry level homes. Many new constructions are not low priced while many others are locked in negative equity. There are simply not enough affordable rentals where the younger generation wants to live. The median rent in San Francisco is 15 percent higher than it was a year ago. People are delaying ownership for several reasons and there is not enough supply. This has led to higher demands which in turn lead to rising rents. 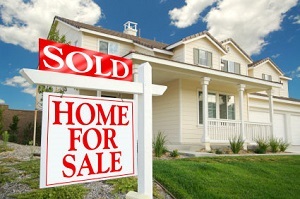 The rental properties are becoming the thing of the past, according to Central Florida real estate agent Fred Franks of Local Realty Service located in Ocala, Florida.